Liz joined Master chef Emma dean on my market kitchen to show you how easy it is to make the perfect cup of chai at home. It only takes 3-4 minutes, to brew and it is definitely worth the effort. We at The Spice People believe chai is not only good for your health but good for your soul. A refreshing mix of chai spices sweetened with hibiscus flowers and mint. This brew is for the pure of heart, just add hot water and slice of lemon for a soothing afternoon brew. 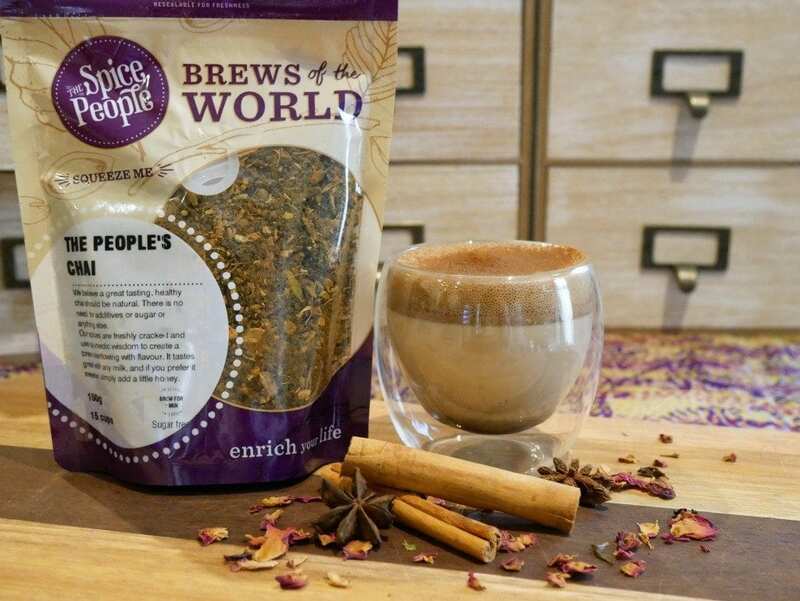 A warming and therapeutic brew of chai spices combined with the healing benefits of turmeric. A magical blend of authentic masala chai spices and assam cut leaf tea. Want to learn more? Click on the different chai to read more about their unique qualities.